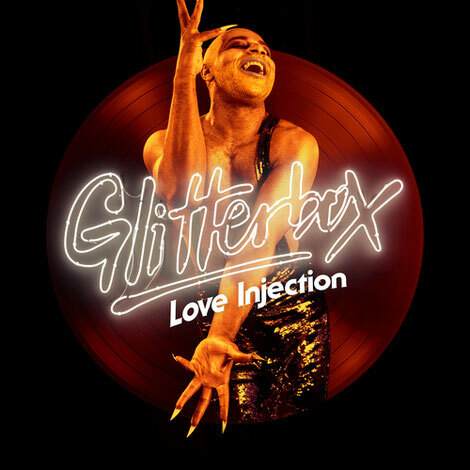 ‘Love Injection’ is the latest instalment from Glitterbox Recordings. Selected by label boss Simon Dunmore, this 40 plus track compilation showcases some of the finest producers making disco and dancefloor-ready house cuts in the here and now. KiNK, Julio Bashmore, Purple Disco Machine, Folamour, Midland, CamelPhat and Hot Toddy make up some of the contemporary contingent proving that the disco spirit is alive and well. Simon has also included respectful nods to the golden-era voices of Gwen Guthrie, CeCe Rogers, The Emotions and Kathy Brown alongside the work of production heroes like Marshall Jefferson, Steve ‘Silk’ Hurley, Larry Levan and Frank Wilson. Kicking off with the stone cold classics, ‘Love Injection’ sets the disco standard before diving into contemporary dancefloor fillers, brand new tracks and exclusives. One such classic is Gwen Guthrie ‘It Should Have Been You’, a garage staple perfected by Larry Levan. Rounding off the first of the moments comes ‘It Must Be Love’ by Alton McClain & Destiny and produced by Northern Soul cult hero Frank Wilson. Simon discovered this track when it was played by Horse Meat Disco; a memorable Glitterbox moment captured in style on ‘Love Injection’. Another song broken in on the decks at a Glitterbox party, Simon first heard the sound of David Harness ‘We Got It’ when it was played by Louie Vega in London. The simple and hypnotic groove mixes effortlessly into sparkling nu-disco from Purple Disco Machine & Boris Dlugosch featuring Karen Harding, ‘Love For Days’ (Kenny Dope Remix), is a remix from the master at work that brings things bang up-to-date. A brand new cut for the compilation, Rapson’s ‘Heat’ is possibly one of the standout tracks of the last six months. The Disclosure-esque house track has been remixed by OPOLOPO, transforming it into a disco cut. Another upfront selection for the compilation is Sophie Lloyd’s new gospel house cut ‘Calling Out’. First played by Simon at the Hï Ibiza closing party in October 2017, it apparently quickly became a sell-out on 7” vinyl. Final highlight, KiNK’s 2017 house track ‘Perth’ represents the Glitterbox at its most fresh. Released on Gerd Janson’s Running Back label, it smacks of peak-time moments with probably enough 21st century soul for any dancefloor.